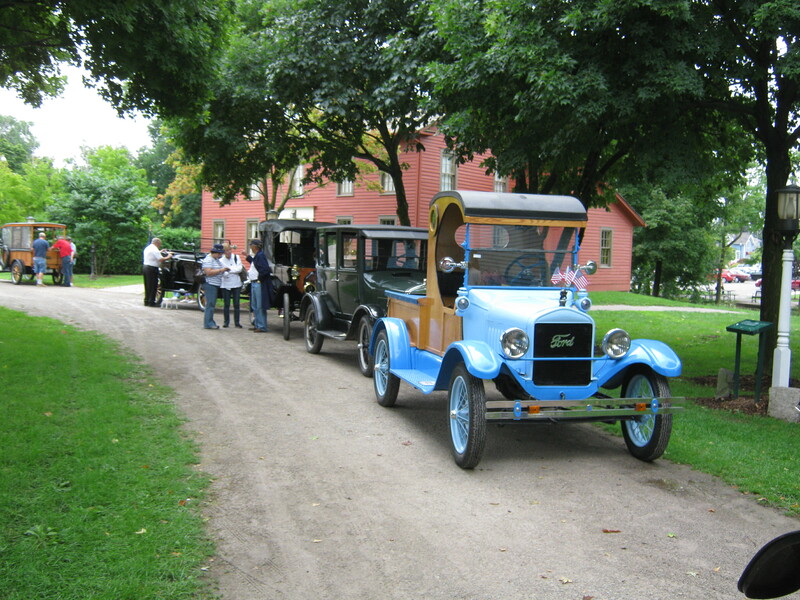 The Casual T’s, a Model T Chapter in southeast Michigan, visited Mill Race Village on August 14, 2011. The rain didn’t keep them away. The Model T is considered the most successful car in automotive history. It transformed the auto industry and American culture. It was designed as an “Everyman” car. Henry Ford introduced the assembly line which allowed them to be produced in higher volumes at lower cost. The Model T sold millions of vehicles and put ownership within reach for most Americans for the first time. 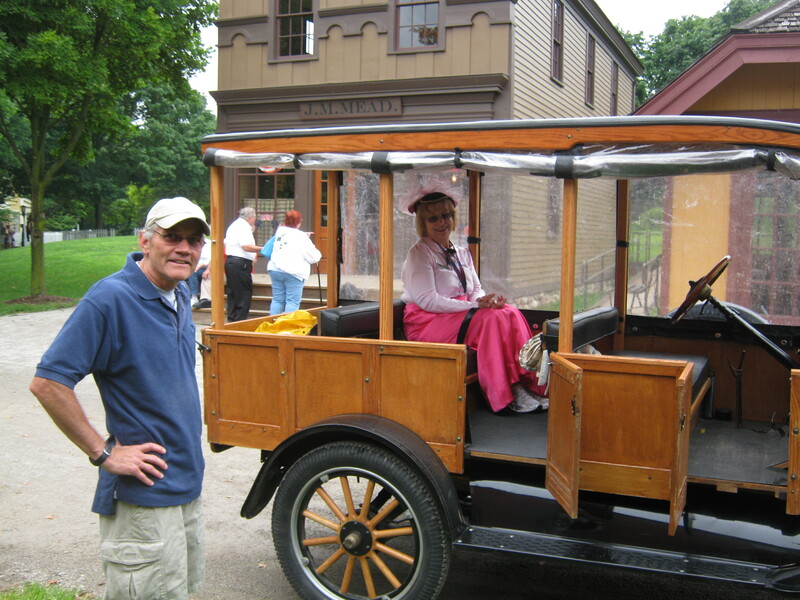 Ed Gabrys & Joanne McClure with Model T Taxi at Mill Race Village. 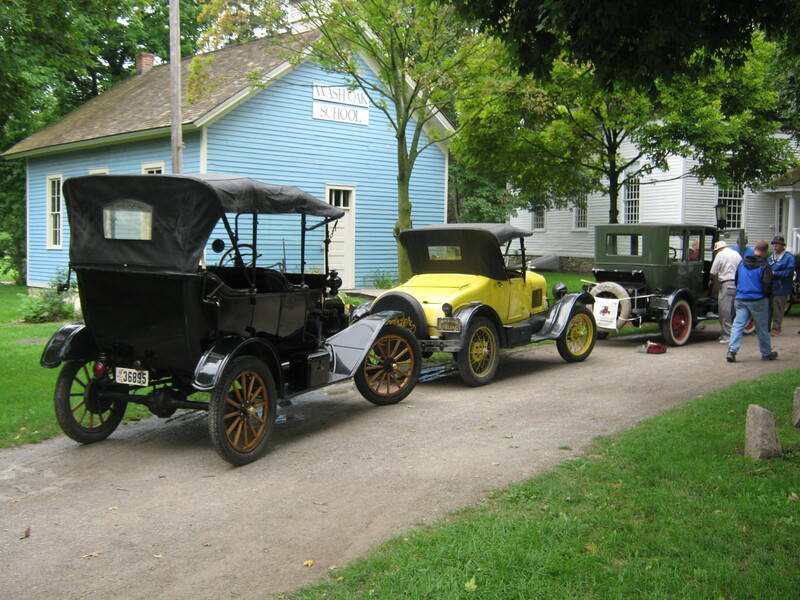 Model T’s at Mill Race Village. 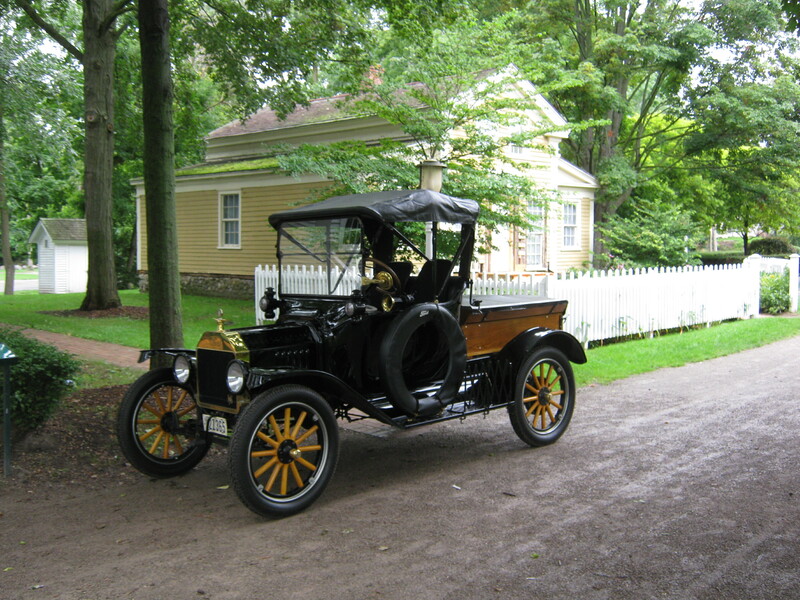 Model T in front of the Weaver’s Cottage at Mill Race Village. Casual T’s in front of the Wash Oak School at Mill Race Village. 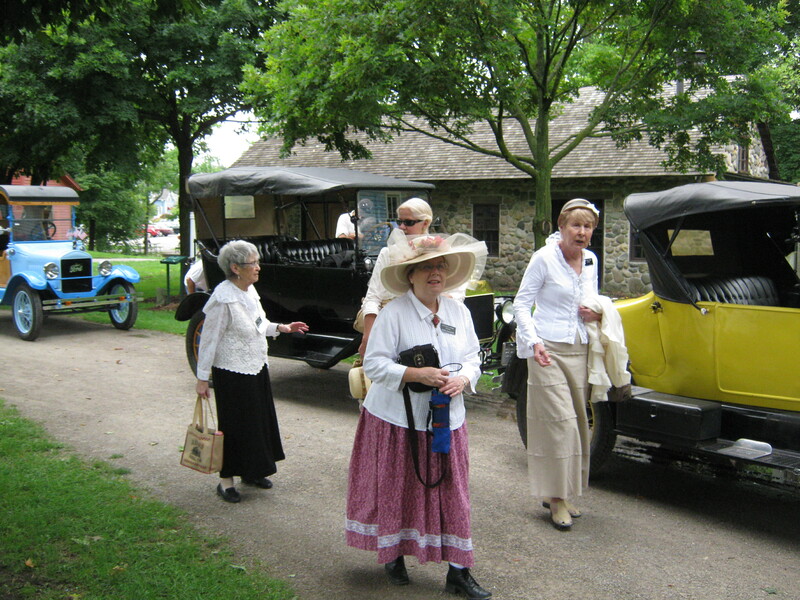 Docents on the way to their buildings at Mill Race Village. 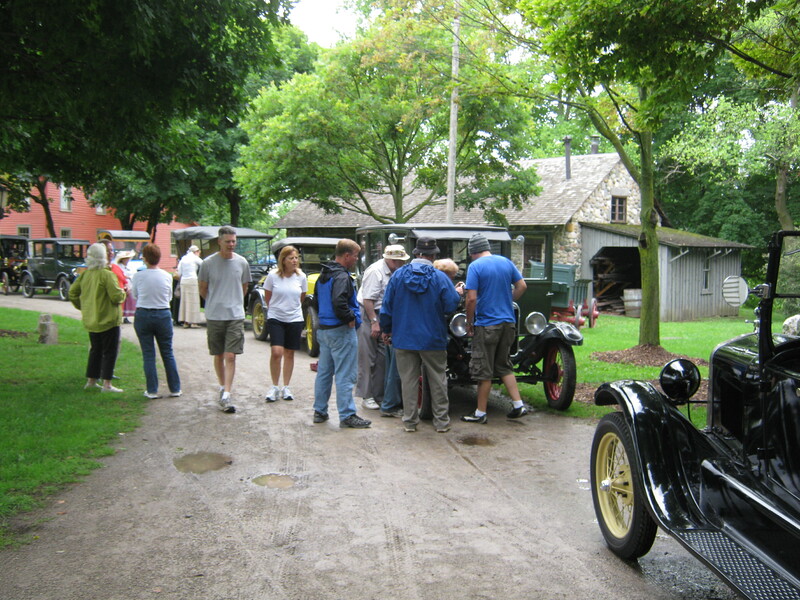 Model T's in front of the blacksmith shop at Mill Race Village. 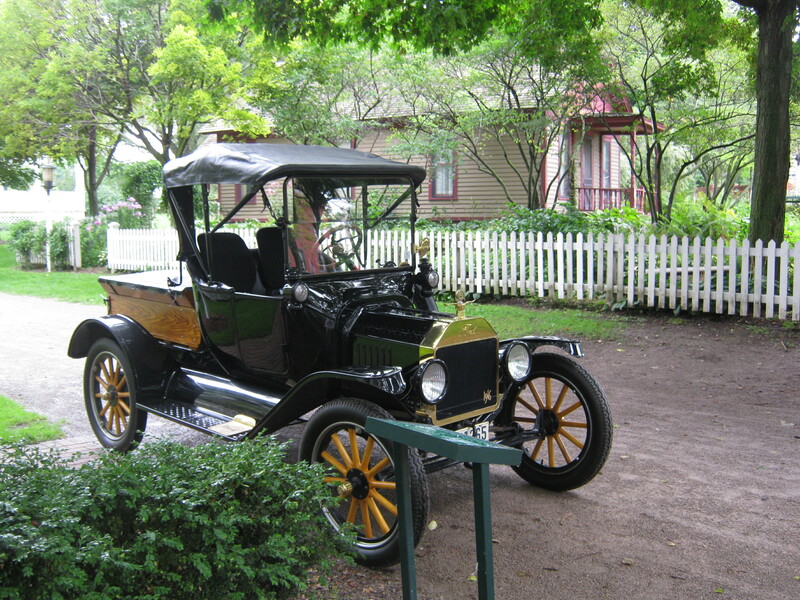 Model T in front of the Hunter House at Mill Race Village.